We had fun once, it was awful! Are you a bit of a grumpy cat? Know someone else who is? Then our Grumpy Cat inspired t-shirt is perfect! 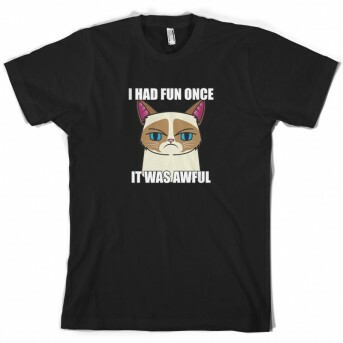 Mens Unisex T-Shirt, our men's Grumpy Cat inspired t shirt is printed onto our premium 190 GSM one piece crew neck t-shirt. 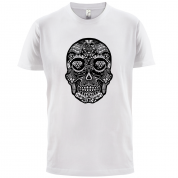 Available in 10 Colours and from Size Small to XXL. 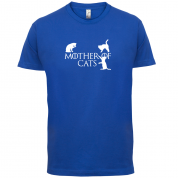 Women's Slim fit T-shirt, our ladies Grumpy Cat inspired t-shirt is printed on our popular 150 GSM ring spun womens garment. Available in 11 colours and from Size Small to XXL. Unisex Hoodie, Our unisex style IGrumpy Cat inspired Hooded top is printed on our 280 GSM kangaroo pocket garment and is Available in 9 Colours and with sizes Small to XXL. Not quite what you're looking for? 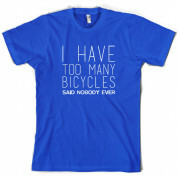 Check out our range of funny and meme inspired t-shirts and hoodies!